The best way to care for any pet is to make sure that you have an understanding of what that pet needs in order to live a happy, healthy life. Visiting your local Southeastern Massachusetts veterinarian for an initial exam and then for subsequent veterinary check-up appointments throughout your pet’s life can help spot small issues before they become big problems. Keeping a pet has many rewards, but your first order of responsibility is in providing proper care for your new family member. Choosing the right pet for you, your lifestyle, your budget and the amount of time that you have to dedicate to caring for your pet, is a step in the right direction. 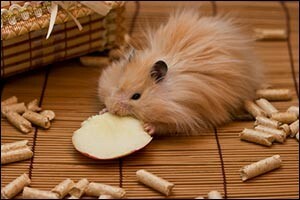 When it comes to considering small rodents as pets, there are quite a few options available. Most people think about hamsters or gerbils when they think about pocket pets or other small creatures, like the kind you see at the local pet store. Mice, rats, chinchillas, Guinea pigs and other common creatures are also a favorite of adults and children alike. Make sure to do your due diligence and learn about these animals before you bring them into your home. Ask your vet about winter tips for small pets in New England, as they need to be kept warm and safe during the cold season. The more you learn about the required habitat, nutrition and veterinary needs, the easier it will be for you to appropriately provide them. Before you adopt a pet in Fall River, it is important to think it through. How much space do you have for the new family member? Will you have time to walk a dog, play with a cat or talk to a bird? While small rodents as pets do need your time and attention, they aren’t as demanding as these other popular pets. As long as you are providing food, shelter, water, warmth and other recommended options via your Southeastern Massachusetts veterinarian, most of these pocket pets will be fine while you are at work or if you have to go away on a weekend. If you need a more flexible care schedule, small pets can be a great option. However, if you have a fear of handling small rodents as pets or if you think you won’t be able to clean cages, add food, check water and provide all of the stimulation and activity that they require, they might not be the best choice for you. It is important to know that rodents are nocturnal creatures, so if a little scratching and running on a plastic wheel will keep you or your family members up at night, you might want to think about getting something else. If you have other pets and aren’t sure how they would interact with your new pet, speak with your veterinarian at your regular veterinary check-up or call to ask directly. Before you adopt a pet in Fall River, make sure that you know what type of care will be involved. For example, chinchillas require a “dust bath” to help keep themselves clean. You need to provide this for them as part of their regular care. Other small rodents as pets can have similarly unusual requirements, so it is best to find out and make plans for treatment, preventive care and maintenance throughout the life of your pet. Ask about year round care, including hot season summer and cold season winter tips for small pets. Also, make sure that the pet you are considering is legal in your area. Some types of exotic pets are illegal in certain areas that are not illegal in others. For example, in California it is illegal to own a ferret or a gerbil, however these animals are quite common throughout the rest of the country. Your local Southeastern Massachusetts veterinarian can help you with this question as well, so it is a good idea to schedule an appointment or give them a call. Contact Anchor Animal Hospital in Dartmouth to schedule a veterinary check-up for your new pet or to ask one of our veterinary staff members about adopting a pet. We can provide you with tips and ideas for keeping small rodents as pets, including year-round summer and winter tips for small pets to prevent temperature and weather related illnesses. Give us a call at 508-996-3731 and find out why so many pet owners in the South Coast region trust Anchor Animal Hospital to take care of their pets.